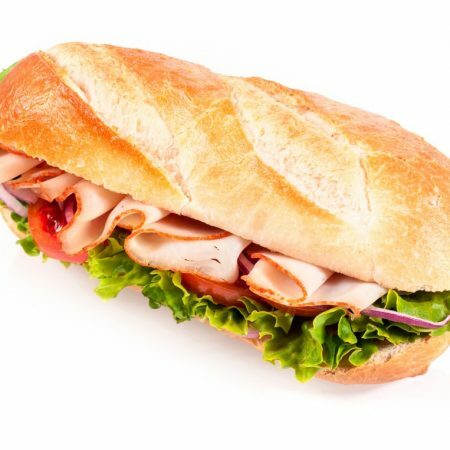 We’re a full service deli offering delicious specialty sandwiches, made to order sandwiches, salads, and a variety of beverages and chips. We have friendly and personable staff that deliver superior service. Come on in and give US a try! Choose your own bread, meat, cheese, and toppings! Hot Turkey, Bacon, Cheddar Cheese & Avocado. Veggies, Avocado, Cucumber, Sprouts, & Choice of Cheese. Hot Turkey, Avocado, Bacon, Bomb Sauce, & Cream Cheese. Marinated Chicken, Bacon, Avocado & Choice of Cheese. Hot Pastrami, Roast Beef, Salami, & Choice of Cheese. Turkey, Ham, Roast Beef & Choice of Cheese. Hot Pastrami & Choice of Cheese. Delivery Orders Must Be Placed Before 10am. 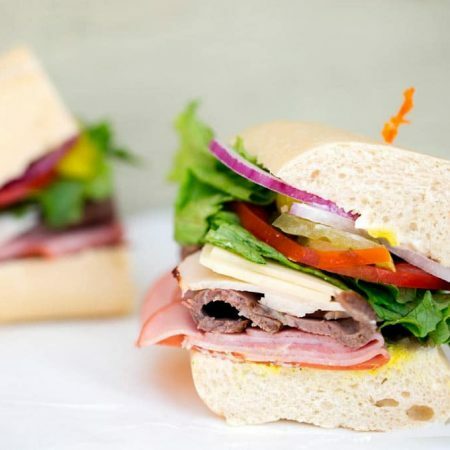 Includes a variety of our most popular signature sandwiches! © 2019 The Sandwich Spot San Jose/Milpitas. Website Design by Company 50, a RI Website Builder.